24-hour forecast: Sunny with cloudy spells today and cloudy at times tonight. Showers will be generally isolated, except for slightly more over central and northern areas this morning, inland areas this afternoon and along the coast tonight. General Outlook: For Wednesday is for a few showers and isolated thunderstorms over northern and inland areas during the morning, then increasing over most areas by Wednesday night. Today E-SE 10-20 kts Choppy-Moderate 4-6 ft A FEW SHOWERS CENTRAL AND NORTH, DECREASING. A deep mid to upper-level trough extends across the NW Caribbean with an axis along 85W. Diffluent flow east of this trough is producing numerous showers and scattered thunderstorms between 73W-84W. A surface trough within this convection extends from S of 20N along 83W. A tight pressure gradient will support strong trades across the south-central Caribbean this week, with high winds and seas spreading northward into the central Caribbean by Wed, and into the west Caribbean later this week. Little change to the upper trough this week will enhance convection across the area through Fri.
Last edited by Marty; 06/13/18 06:04 AM. 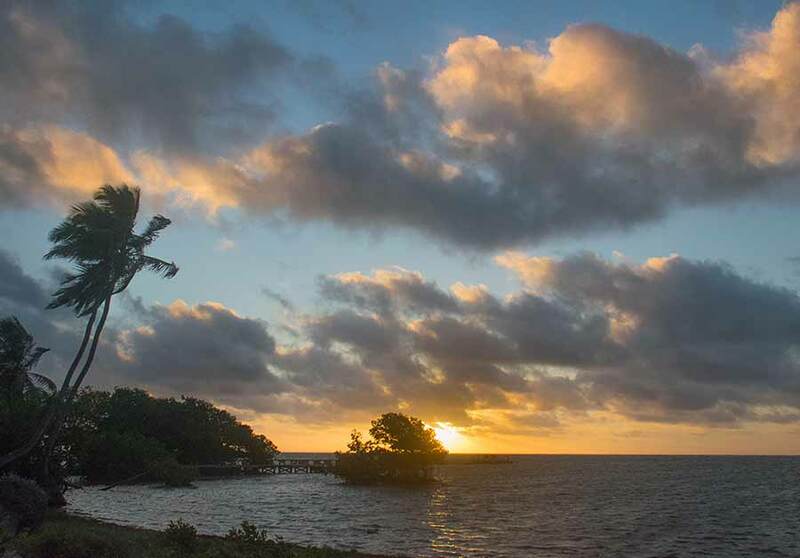 On Ambergris Caye this morning the wind is from the East-SE at 12 mph. making the sea around our barrier reef choppy. Today's expected high is 87 f.
Looks like that HURRICANE BUD now Cat.4, is helping to keeping our skies clear. That ITCZ swellup in the Caribbean is still there, its centre is not moving, but throwing most of its cloud up towards Florida. It could possibly move in towards Belize in the next few days, if the high level winds from Bud change much. 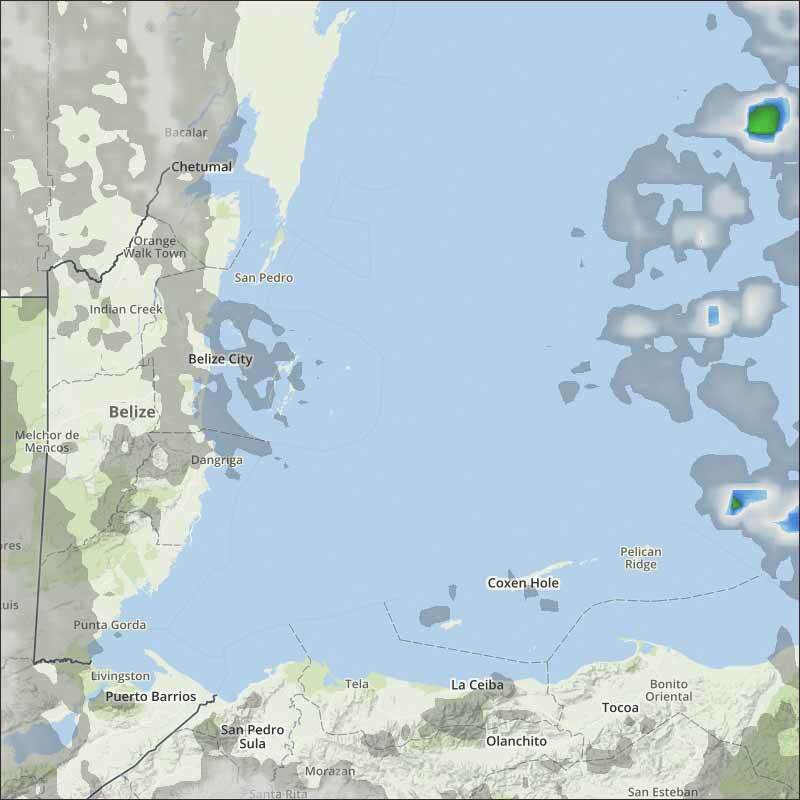 Right now, bubbly cloud is moving in over Belize with the easterly Caribbean winds.